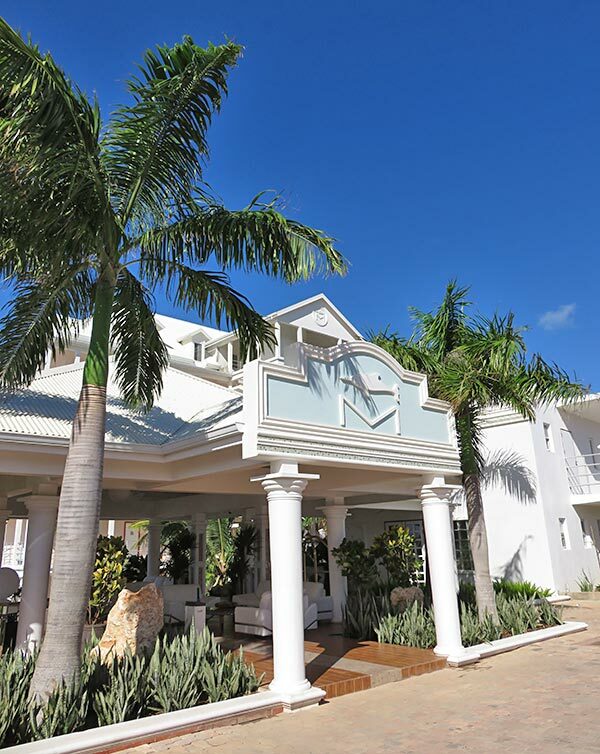 Set on the white sands of famous Shoal Bay East, Manoah gets an A+ for location alone. 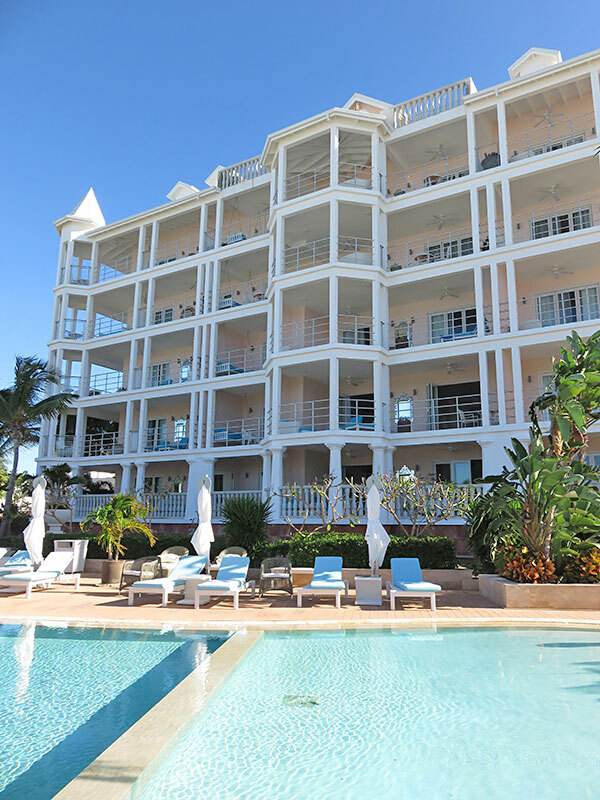 Combine a stellar location with luxurious accommodations that sparkle and Manoah is a real life sandcastle dream! 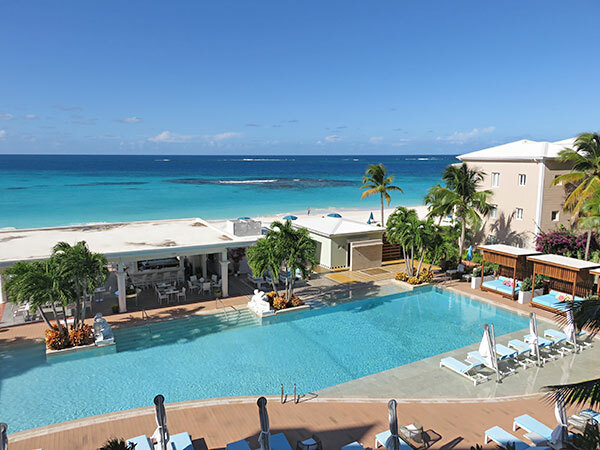 The hotel boasts a sizable pool and an excellent restaurant right on the beach. 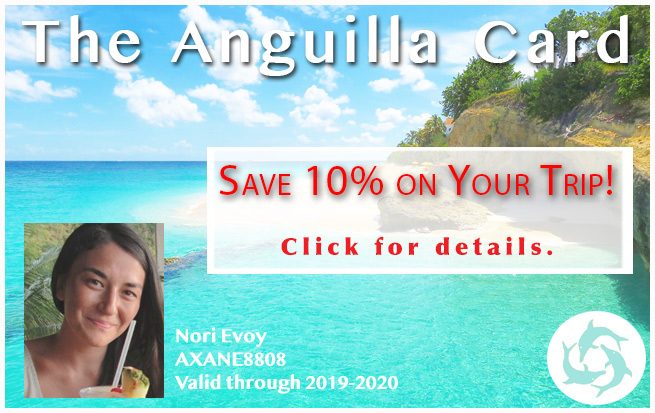 Previously known as Anguilla hotel Ku, many mourned its loss when Ku closed its doors in 2013. 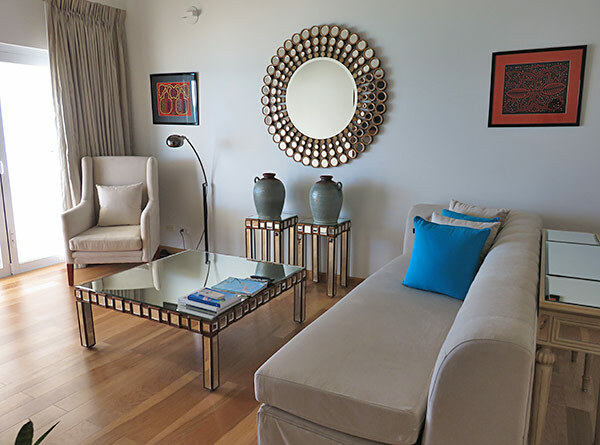 Loved for its fresh and modern rooms set right on Shoal Bay East, it has been sorely missed... until now. 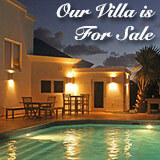 Modern living is back on Shoal Bay East! From the moment you pull up to Manoah Boutique Hotel's lobby, you enter a world grand and modern. 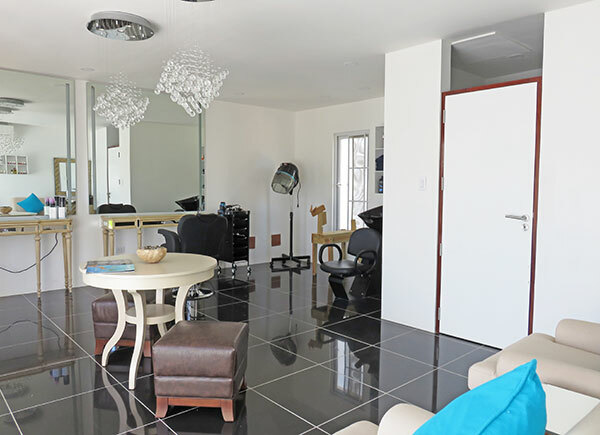 Dressed in crisp whites, shimmering tiles are interspaced with luxurious wood floors underfoot. 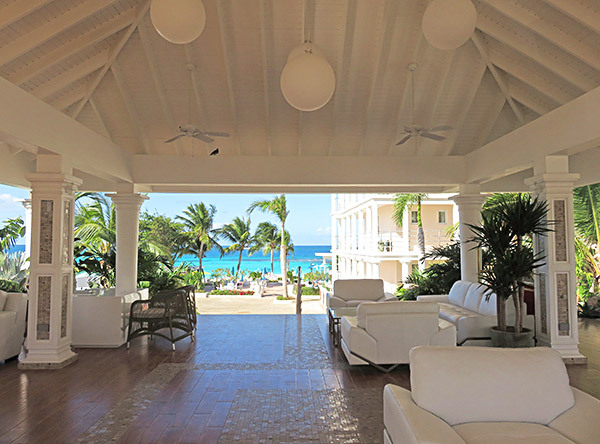 The lobby is fresh with views of Shoal Bay blue in the distance. It is an indication of good things to come. 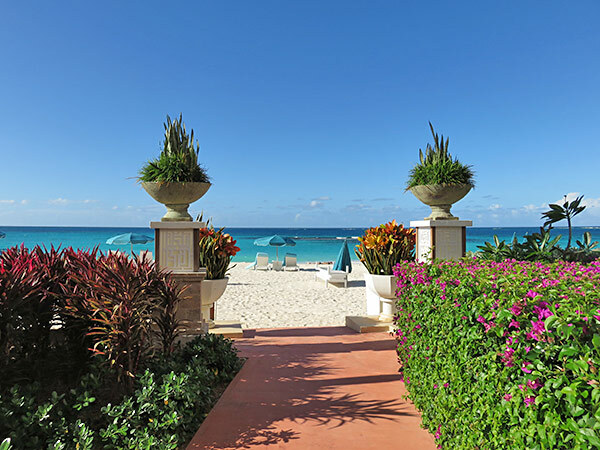 Set inside the "sandcastle" that sits on Shoal Bay East, Manoah's main building houses three types of rooms: standard rooms, superior rooms (standards and superiors can be joined to create 2 bedroom suites) and the presidential penthouse suite. It occupies the entire 6th floor. It will be completed for April 2017. As Front Desk Manager, Delroy Lake and I entered the building's elevator, Delroy explained the story of Manoah. 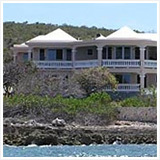 Its owner is known for his successful restaurants and beach clubs in St. Martin and St. Tropez. 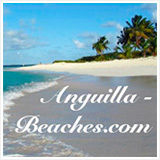 Long-term lovers of Anguilla, he and his late wife had always dreamed of opening a hotel on Shoal Bay East. Today, the beachfront building is named Liz in her honor. The main building is named after Deanna Mussington, a dear family friend whose career the owner helped blossom. An interesting and touching background, we were ready to see the first room on the tour. Behind Deanna's first door, a short hallway painted a vivid blue curves and leads you to the standard room. Lavishly appointed, a floor-to-ceiling art piece makes up the room's backdrop. 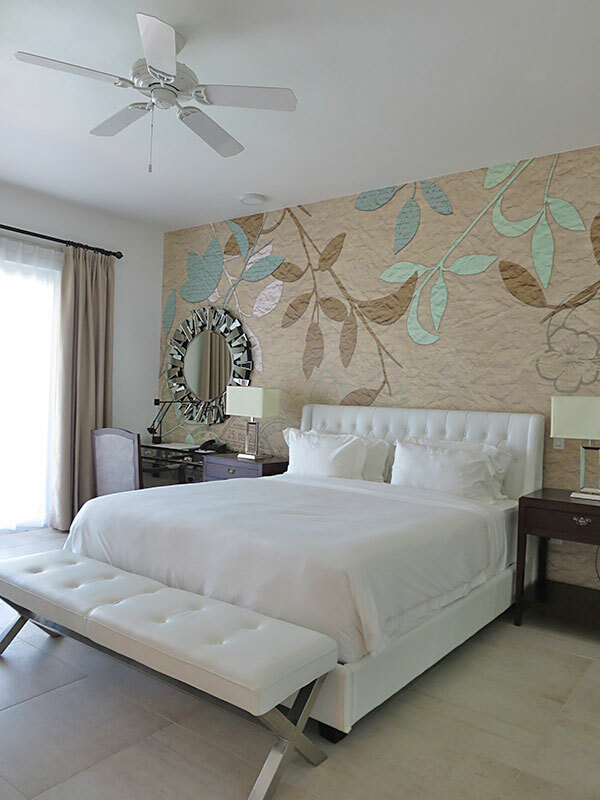 With sand-colored tiles underfoot, white all around and wood accent pieces, all of the elements work together to create a chic Caribbean feel. 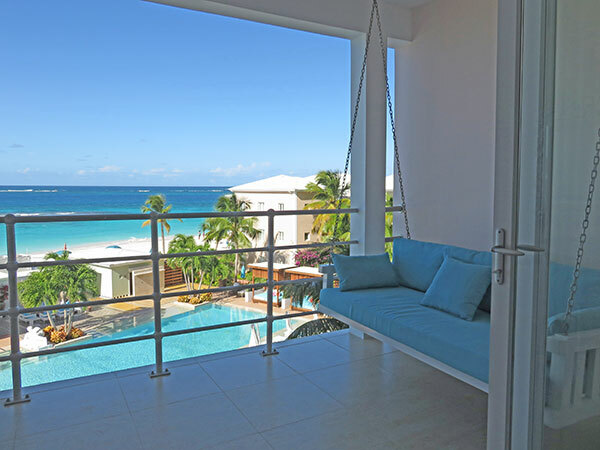 The balcony features a small dining table, two chairs and a comfortable swing for long snoozes while listening to the waves of Shoal Bay. Tip: If it is privacy you seek, book a room on floor 2 or 3. The balconies on these floors are separated from the other balconies. If it is a panoramic view you prefer, or if you are traveling with another couple or extended family, floors 4 and 5 are open with low dividers. 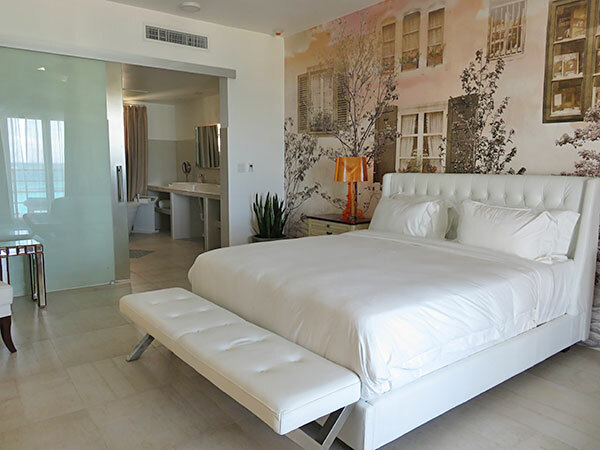 The superior rooms feature a living room, with Venetian mirrored accent pieces and large flatscreen television. 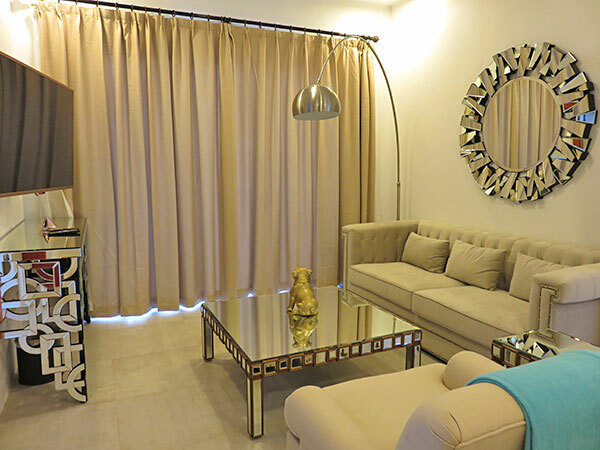 This living area opens onto a terrace that looks out to Shoal Bay East (behind the curtains in photo above). Oversized and plush, its bathroom is equally immaculate. 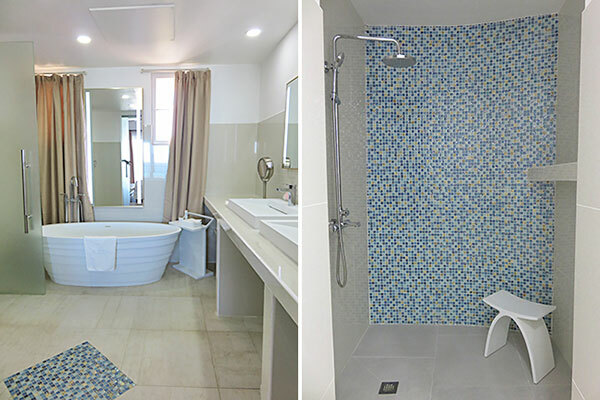 Elegant and encased in white, all bathrooms feature sink tub with tiled walk-in shower. The superior room's bathroom is slightly larger than the standard room's. Twice the size of the standard room's terrace, the superior room's terrace wraps around to the living room. A fantastic use of space! 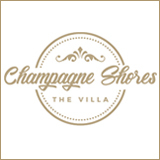 All rooms are elevator accessible and are just a 30 second walk to the beach. Next, Delroy and I moved down to the beachfront building. 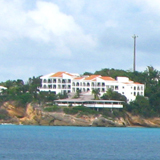 In a three story building, Manoah's beachfront building is directly on the sands of Shoal Bay East. It houses 6 superior and 3 standard rooms. All are accessible by elevator. The rooms in this building lay out similarly to the rooms in the main building. 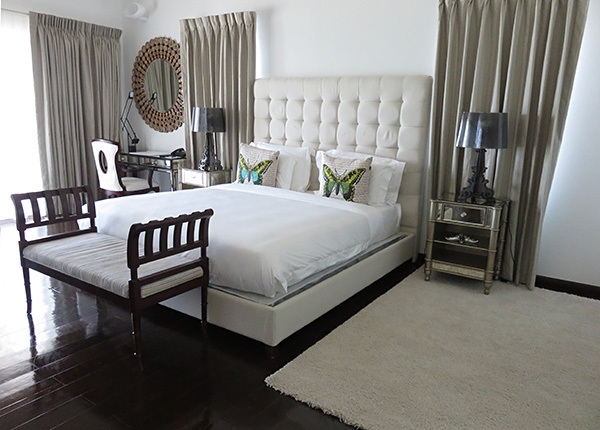 However, the beachfront rooms feature rich, hard-wood flooring and the top floors boast a lofty feel with vaulted ceilings overhead. 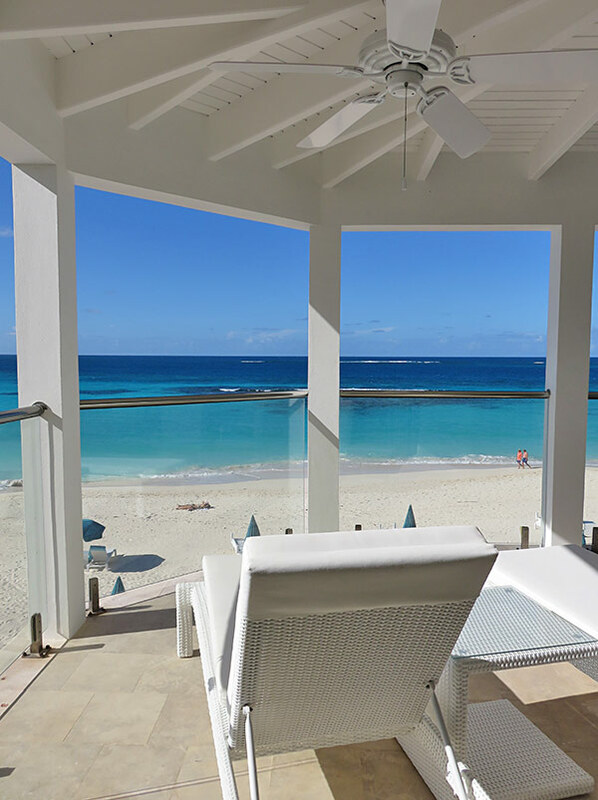 For an up-close view of Shoal Bay East, book the beachfront room. The beachfront superior rooms open into a spacious living area with large flatscreen television. A curved hallway leads from the living area to the room's oversized bedroom with bathroom. As I took in the bedroom, Delroy threw open the drapes yet again. Even more striking than the view from the main building, this vivid blue view immediately grabs you. The use of glass is a brilliant touch. 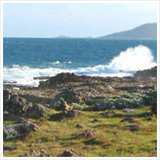 Panoramic, it offers an up-close perspective of Shoal Bay East. The terrace also extends across to the living space. 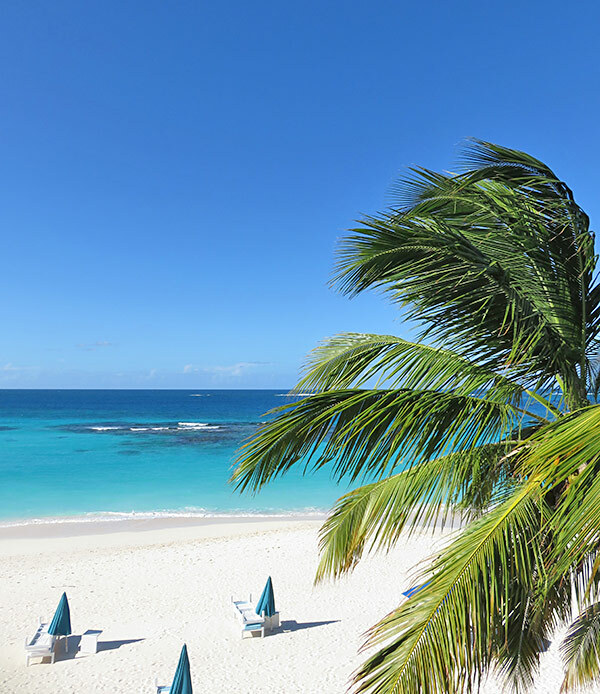 Undeniably beautiful, this is your front row seat on Shoal Bay East. 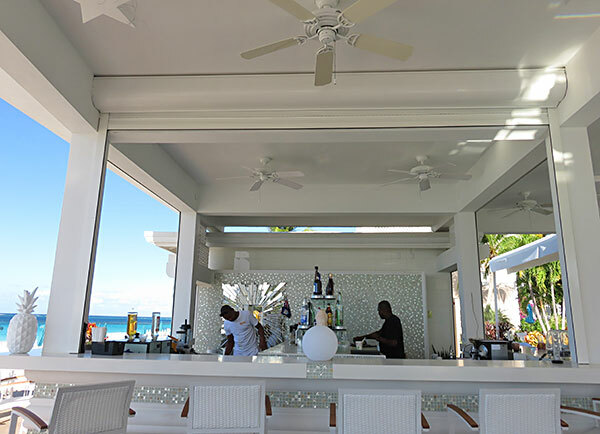 The hotel's bar, restaurant and pool, complete with cabanas and chaises, are part of "Manoah Ocean Beach Club." 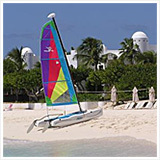 The focal point of the resort, the space is a successful blend of French Riviera-chic and Anguilla-cool. 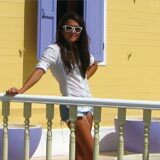 The owner's experience of developing beach clubs in St. Martin and St. Tropez is apparent. Large, with ample seating, the pool itself slopes up to its edges, making for easy wading. Another smart touch are the lounge chaises that sit directly in the pool. Is that not the utmost in total relaxation? The main building stands behind the pool. If you are staying in the main building you are only a few seconds away from cool pool delight. 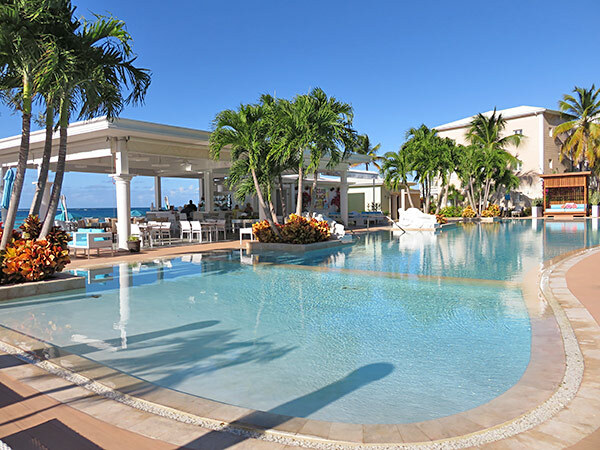 On the other side of the pool (the beach side), sits the hotel's restaurant and bar. Spacious with white pillars and glimmering tiles, this bar sparkles. 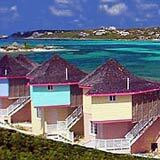 It opens onto the sands of Shoal Bay East where comfortable lounge chaises with umbrellas await you. 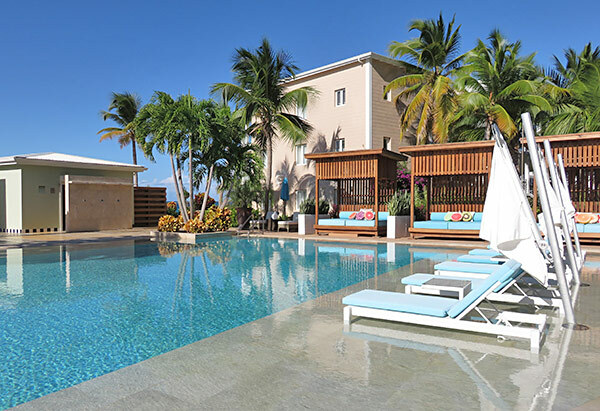 Hotel guests and non-guests alike can enjoy the restaurant, beach and pool experience at Manoah Ocean Beach Club (a fee is charged for non-guests). 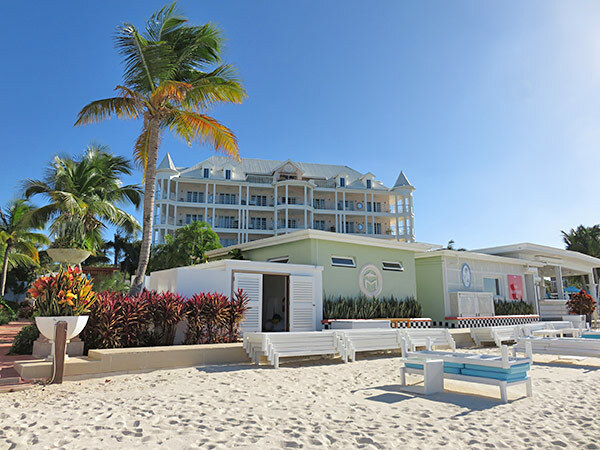 More on Manoah Ocean Beach Club. 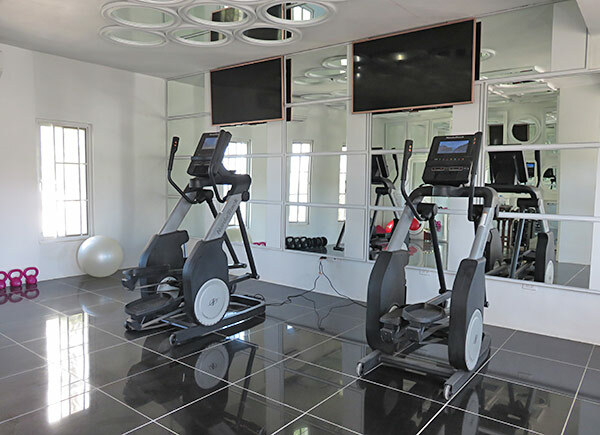 In addition to the pool area, the hotel also offers spa (complete with steam room) and salon services to guests. Both spaces will be upgraded in the coming weeks. Updates to come. 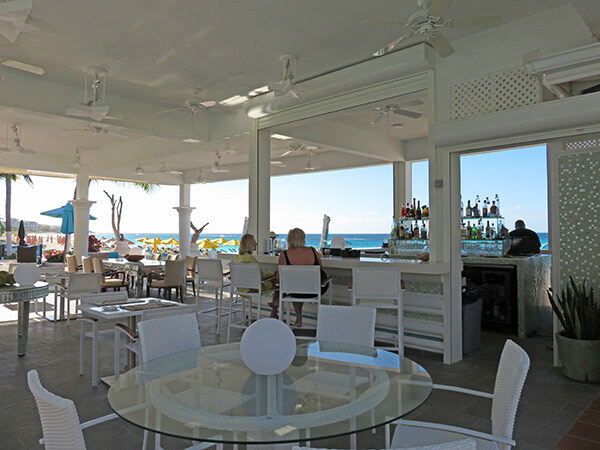 All in all, Manoah makes for an excellent addition to Shoal Bay East. 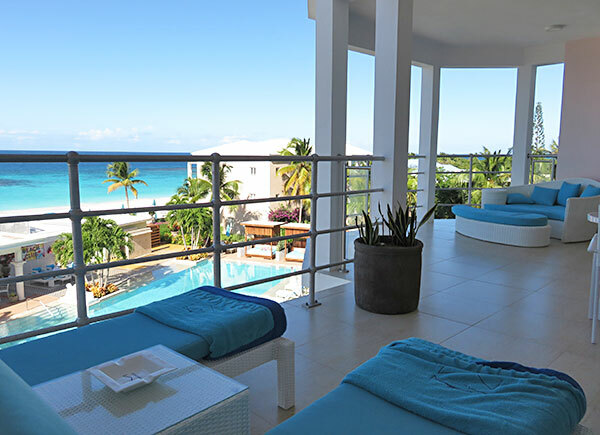 Caribbean-modern and chic, with easy access to the beach, Manoah offers a terrific boutique beachfront experience at a reasonable price. 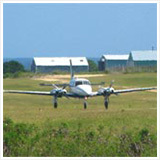 They are currently offering competitive introductory rates at around $400/night. 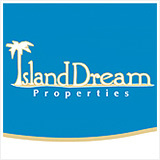 Contact the resort for best rates.